Standard height and co-witness height sights for MOS models. 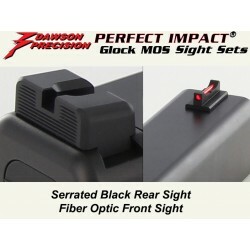 Sights (Gen5 MOS) There are 12 products. Fiber optic front sight. 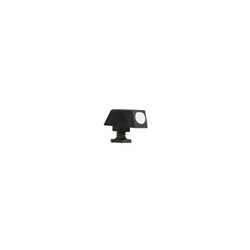 Black low profile rear sight. For use WITHOUT OPTIC INSTALLED. Back-up sights for when optic is mounted. Tritium front sight. Black rear sight. Back-up sights for when optic is mounted. Tritium front sight. 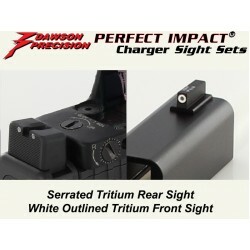 Tritium rear sight. 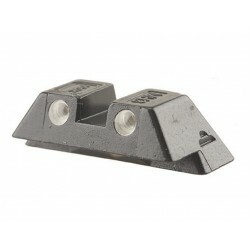 Glock OEM front sight, steel, for all Glock models. Glock OEM tritium rear sight, steel, for all Glock models, except G42 / 43. 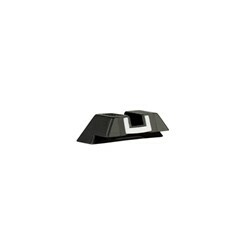 Glock OEM tritium front sight, steel, for all Glock models. 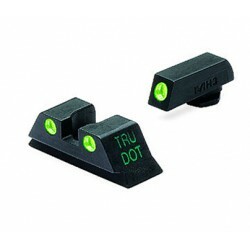 Meprolight Tru-Dot tritium night sights for full size and compact Glock pistols. 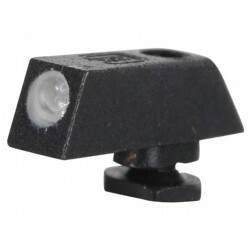 Trijicon's original tritium night sights. 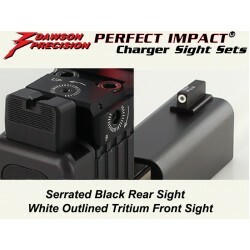 Trijicon HD XR front sight only.